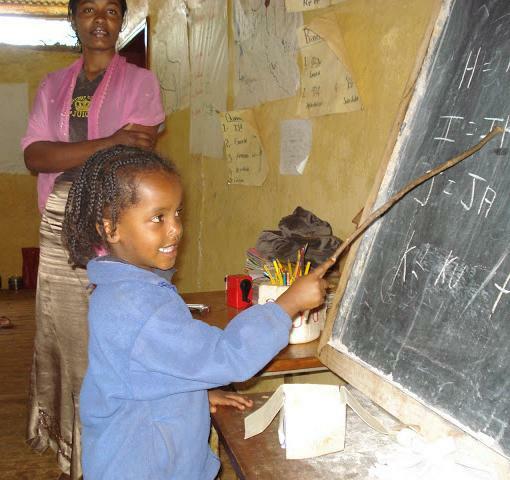 Learning in progress for this young girl in Ethiopia. Today is the first International Day of the Girl Child: a day designated by the United Nations to recognize that empowerment of and investment in girls is critical for economic growth, the achievement of the Millennium Development Goals, and as a means of breaking the cycle of discrimination and violence to which girls and women are subjected. Here at Canadian Feed The Children, promoting gender equality is central in all the work we do, whether it’s nutrition or health supports that address the unique needs and access challenges faced by girls and women, or supporting child rights’ clubs that educate girls (and boys) about gender discrimination and girls’ rights so they grow up empowered to stand up for them; or creating livelihood opportunities for women who are often prohibited from owning land with skills development, business start-up loans and training in agricultural best practices. 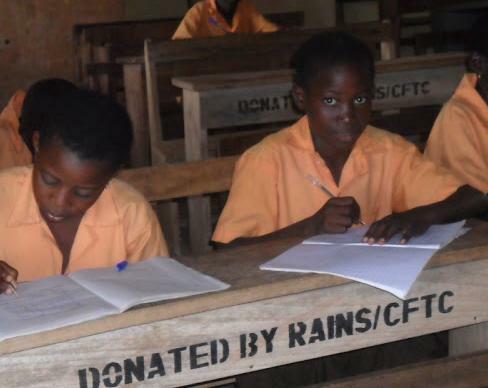 Or – as this year’s theme focuses on – ensuring that girls have equal access to education. Girls like 12-year-old Azara who lives in a remote rural community outside of Kpachelo, Ghana. Azara woke up one day to find that she was being sent to live with relatives far away. Upon arrival, she was given all the household chores to do and prevented from attending school. 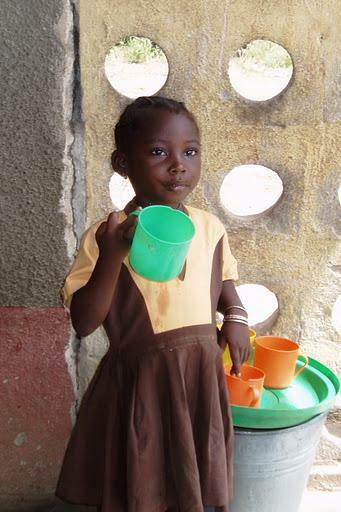 After weeks of exhausting work and very few days spent at school, Azara fell ill.
Azara in class, Northern Ghana. CFTC’s local partner RAINS (Regional Advisory Information and Network Systems) and the head of the local Parent Teacher Association intervened, advocating for Azara’s right to attend school. They brought her home to receive the health care and support for her education that she needed. Just one example of the kind of one-on-one, steadfast work to identify and help girls to achieve their full potential against systemic barriers that are slow to change. But change they can: when community-led development occurs within a framework that includes a lens on gender equality and the discrimination that prevents girls from attaining their full potential. Whether it’s because they are forced into early marriage, or their education is deemed of lesser value than boys’ education, or they shoulder the greater burden of household chores meaning they are kept at home instead of sent to school: each of these practices needs to be taken apart and re-built with girls’ best interests in mind. International Day of the Girl Child: an opportunity to advocate for equal access to basic human rights for this child and all girls around the world. Where resources are scant and choices need to be made, girl children continue to be at the end of the line in terms of resource allocation. Recognizing that this is the case, and working diligently to change it is an imperative for Canadian Feed The Children not only today but throughout the year. We task our local partners to promote gender equality and identify concrete ways to alleviate inequalities for girls. Sometimes it’s providing bicycles so that girls can travel to distant schools without the threat of violence or abduction; sometimes it’s providing clean water so that the burden of water collection and transport is not unfairly placed upon girl children in the community. Sometimes it’s ensuring that schools have adequate sanitation facilities that respect girls’ safety and privacy. There are dozens of small and large ways to empower and invest in girls: and today, we urge everyone to consider them. We thank you for your involvement in our mission and in sharing your talents, time and resources to create a world in which girl children can thrive!